Woot woot!! 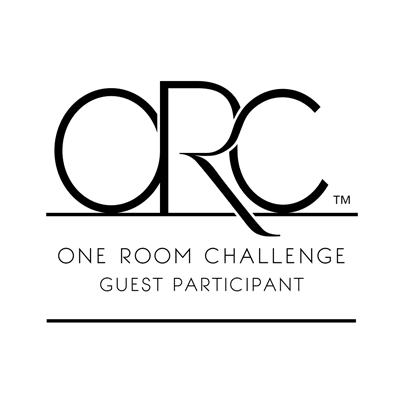 It’s time again…One Room Challenge time! 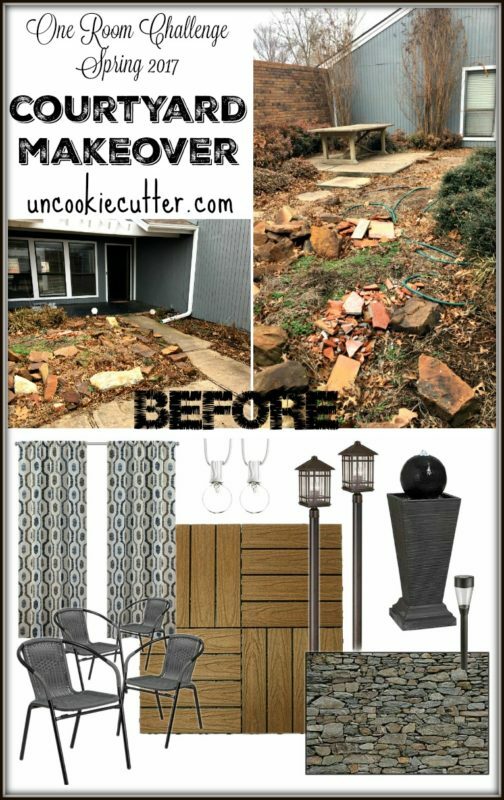 This go around I am doing a courtyard makeover for our front entryway and I could not be more excited! This area is the very first thing people see when they come to our house and let me just say it is looking…not so great? It’s got zero style, is overgrown and unfunctional to boot. But, I’m about to change all that. Let’s take a look. Here’s what we are starting with. Update: See the Reveal HERE! So fun, huh? I’ll love to say there is another door that most people use, but nope. This is how we great people. We are awesome like that. I have actually done just a couple of little things. I trimmed the crepe myrtles. Not sure that I did it correctly, I got a little lopper happy. So, fingers crossed they come back! We have also collected a ton of rock from around the yard to use for the wall. Now we just need to get building. 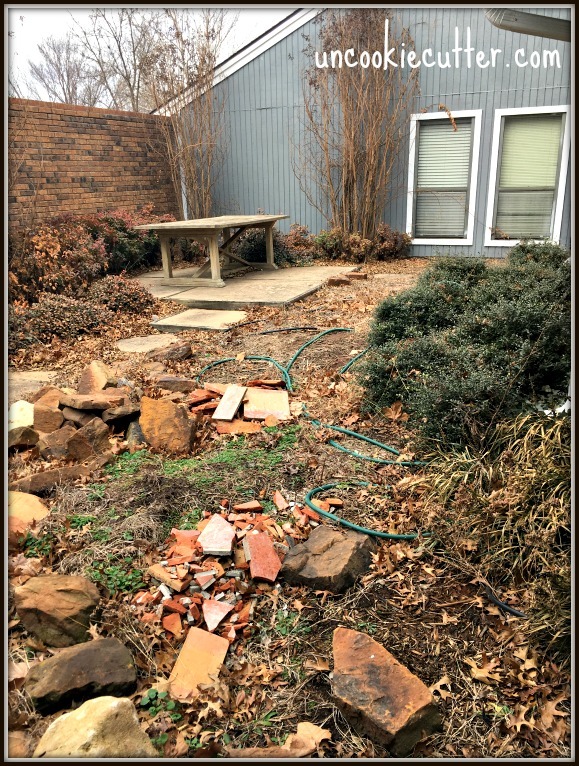 Another reason we need to get this courtyard makeover done is that we are close to starting our kitchen makeover and we are going to need a place to eat. I’ll have to stack our dishes and cookware on the dining table and this will be a nice place to retreat to and get out of the impending disaster. See the awful kitchen as it is now HERE. Here is what we have planned for the next 5 weeks. It’s not a long list, but it’s a project heavy list. Here’s a general idea of the smokey neutral look I’m going for. I’m so glad you are here following along! Make sure to follow me over on Instagram to see my videos and more behind the scenes photos. I couldn’t do this makeover without the help of my generous sponsors, so head over and give them some love. 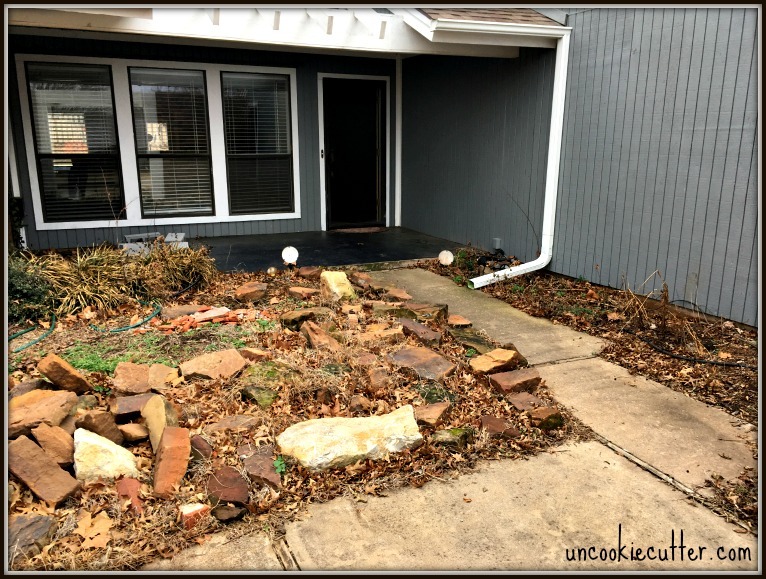 April, this space has SO MUCH potential! I can’t wait to see what you do here. I love that brick wall too! Thanks Roxanne! We do too :). Now, to get to work! This space is going to be a showstopper! 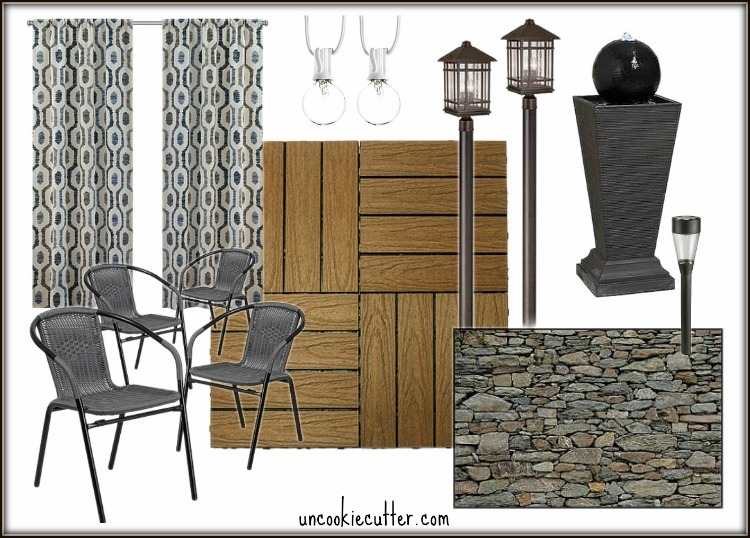 I love outdoor living and can’t wait to see it all come together! I’m SO excited to see this come together!! I love all of your ideas – it’s going to be fantastic! What a cool space! There is so much potential here and I know you’re going to do amazing things with it! What a fun project! 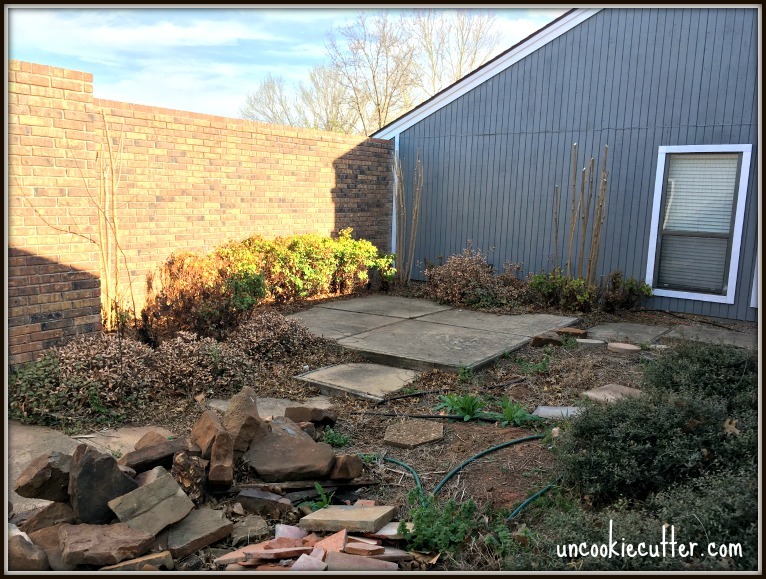 I love the idea of working on an outdoor space. I’m excited to see how it all comes together! Whheeee, can’t wait to see this one progress! After the ORC I’m going to be working on our outdoor space, which we haven’t touched other than having a deck built! Can’t wait to see your space either! Thanks Brittany! Haha, thanks Susie! You were just the upbeat voice I needed to get going today :). No, we are trying to make it as maintenance free as possible ;). I love this challenge. I stumbled upon it in the week three post and immediately went back to this post to get an overview of the whole project. Appreciate you sharing all the steps with us. Do you have an idea of how many hours that you’ll be spending over the five weeks? Thanks Lisa! I have no idea, a lot haha! Glad you found it and thanks for following along.